The main race of the day was the Durbridge Stakes run at Race 5. 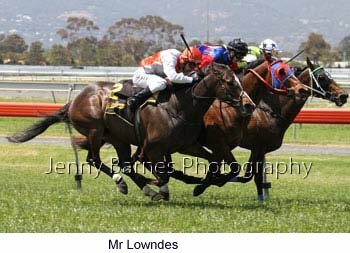 First up was up the 2500m race where Mr Lowndes ran on in a determined fashion to just grab victory on the line from He's Hot To Trot and Doc Hennessy. 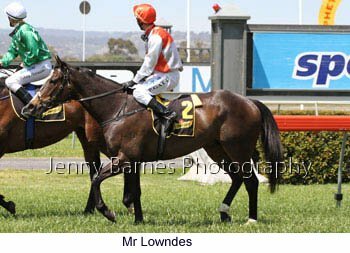 Mr Lowndes takes his record to 5 wins and three placings from 17 starts and plans are to head to the Lavazza Long Black on Melbourne Cup Day at Flemington. 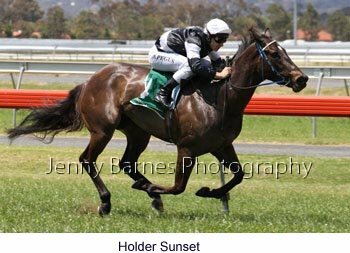 The second race saw Holder Sunset make it two from two in defeating Talk of Angels with Nullarbor Nymph third while the French import Le Roi stormed home to defeat the gallant Manganese with Notice Received third. 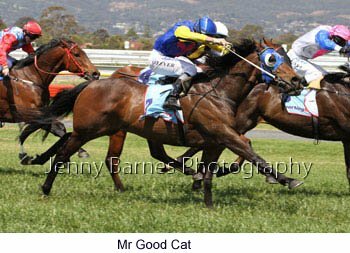 In the 4th race the Richard Jolly stale brought up a double with Mr Good Cat winning from Exalted moment with Little Akie third. 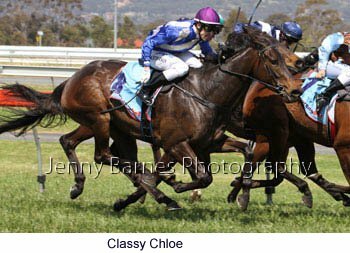 The Durbridge Stakes saw Just Sybil in front in the straight but Classy Chloe was soon storming home. 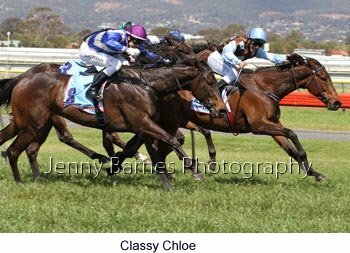 Just Sybil fought back and tried hard to stave off Classy Chloe and to many it appeared she had held on on the line but the photo showed thatClassy Chloe got the bob in to be declared the winner with Justify That in third place. 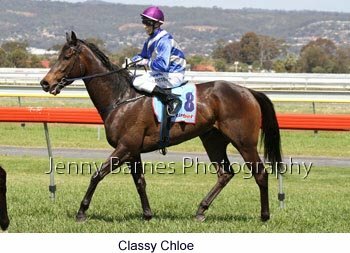 Classy Chloe takes her record to 11 starts for 5 wins and 5 placings with her only unplaced effort a week before at Caulfield where she got stuck on the rails and dragged back through the field in the closing stages. 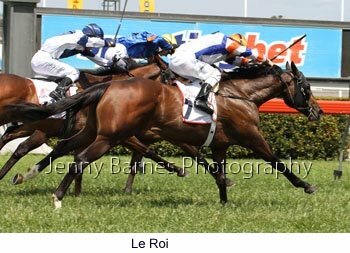 The rest of the winners on the program were La Poupee winning her third race from 5 starts, Cape Clear winning his third in a row to remain unbeaten this campaign and Rose of Lincoln who took nearly the length of the straight to find a clear run before storming home to claim victory winning her third race from 5 starts. 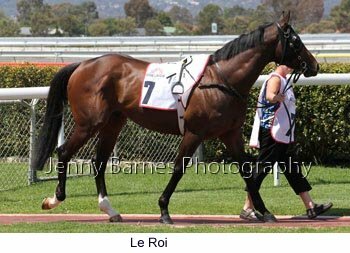 This will be the last pictorial report for several weeks due to the main focus in racing being the Melbourne Cup carnival followed by the Australian 3 DE in late November. 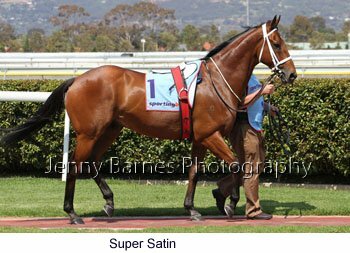 Sad news came through prior to the races in that Stirling Grove had died after returning from morning trackwork in his preparation for the rest of the spring carnival. Stirling Grove by Mossman from Kalamata was sold to Rjolly at the melbouren Yearling Sales for $52,500. 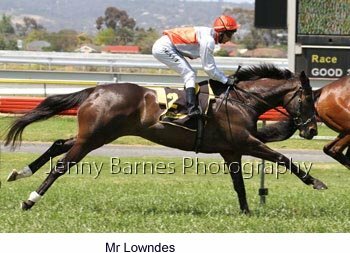 At his first start as a spring 2yo he streeted the field winning by 9 lengths before heading to Melbourne for the Maribyrnong Plate where played up in the stalls and was scratched before an unplaced run at Sandown. 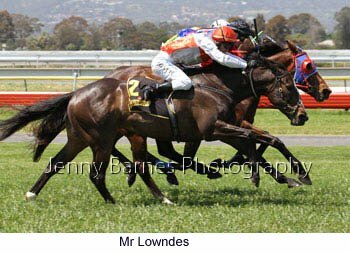 Returning in the Autumn he won first up by nearly 6 lengths before being run down right on the post by future Group 1 winner Toorak Toff in the Jansz at his next start. 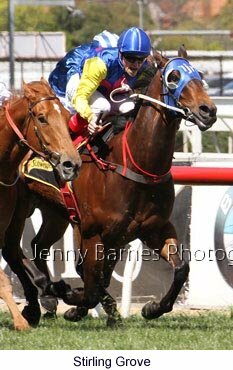 Stirling Grove won the Sa Sires Produce next before finding the 1600m of the Oaklands Plate too far. 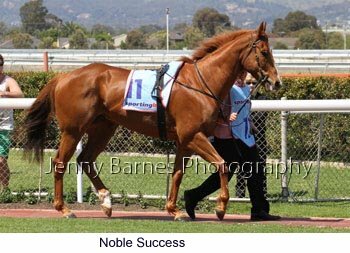 As a spring 3yo he was 4th against the older horses in the Wylie before going to the Melbourne Cup carnival and winning down the straight at Flemington. 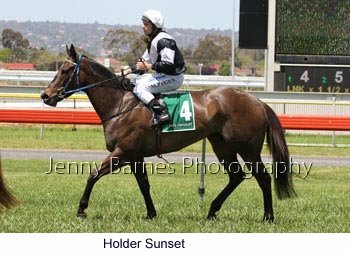 In the autumn he was second to broken first up before winning at Caulfield and was then unplaced in the Yallambee after striking trouble in the home straight. 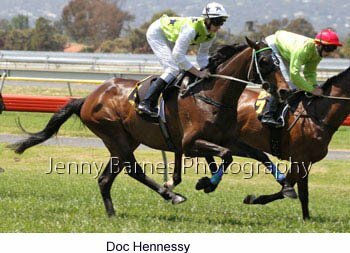 Freshened up he then won at Flmeington before an unplaced effort in the Goodwood. 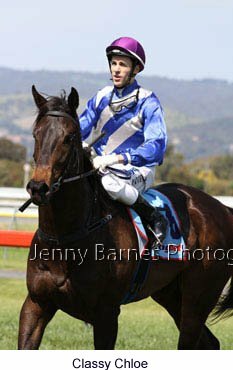 As a spring 4yo he resumed at Morphettville and endured a chequered run before running third behind Black Caviar and Karuta Queen in the Schillaci Stakes. 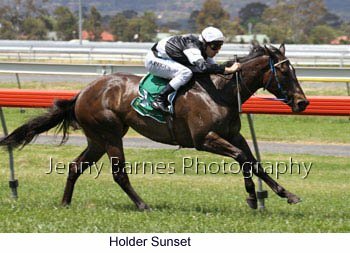 Back to Flemington and again he had a torrid run to be unplaced in the Salinger before just missing holding on in running second over 1400m on the Final day of the carnival. 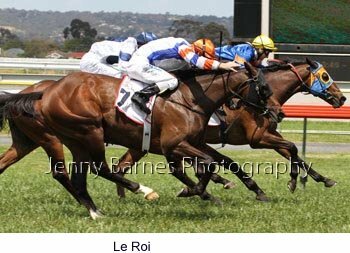 Nosed out in the Doveton Stakes by Chasm at Caulfield he returned to win at Morphettville before being unplaced in the Oakleigh Plate. 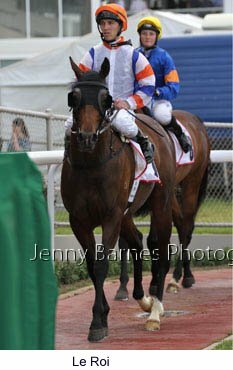 Freshened he was 4th in the DC MCKay Stakes then 3rd behind Black Caviar and Were Gonna Rock in the Goodwood before running second in the Manihi Stakes behind Kulgrinda. 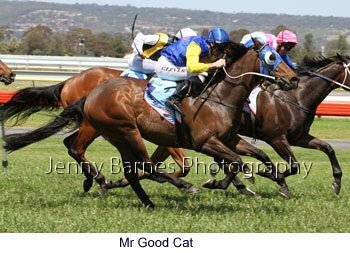 A spell followed and he resumed a week ago in the Schillaci Stakes (where the above photos are from) with a close third behind Buffering. 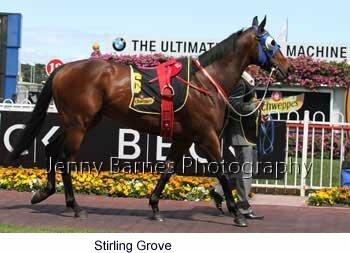 Stirling Grove had 24 starts for 7 wins and 9 placings and over $500,000 in earnings.